John Albert Adams born April 26th, 1929 in Bethlehem, Pennsylvania. John went home to be with the Lord April 1st, 2019. He was the son of the late Verda (Yosbt) and Daniel J Adams. He was married to the late Norma Laurent. Having 4 Daughters Linda and husband Albert Conover, Beverly and husband Joe Scull III, Danette and husband Rick Miller, Robin and husband Jon ButzFiscina; his grandchildren; Danielle Hardin, AJ and wife Melissa Conover, Joseph and wife Amy Scull IV, Christine Scull, Suzanne Connor, Dawn Lombardi, Rachel and husband Kurt Bettenhausen, Daniel Miller, Claudia and Erich ButzFiscina, Kristal Kiefer, Thomas ButzFiscina; and his great grandchildren; Tim, John and wife Amber, Patrick, and Emmett Hardin, Colby and Matthew Conover, Avena, and Jeryn Connor, Kaleb and Kody Lombardi, Oliver and Sawyer Bettenhausen, Summer, Grayson and Addison Mae Kiefer. He was also married to Marilyn Maher step-children Michelle and husband David, Colleen, and David Maher 5 step grandchildren. Sarah, David and Scott. 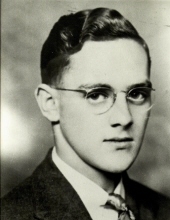 John was one of five children he is survived by his youngest sister Dorothy (Adams) Eckley, nieces and nephews. Preceding him in death are his brother Herbert and wife Mabel Adams, sister Annabelle (Adams) and brother-in-law Paul Mumbauer, his brother George and wife Ethel Adams, and brother-in-law. Carl Eckley, a nephew and a great nephew. In his earlier years he raced stock cars his number was 88A. John drove for Lazzara's Bakery, he was a franchise owner-driver for Pepperidge Farm, and worked for Wonderbread. He attended 4-H shows with his children. He loved to ride horses. His daughters remember him best as a practical joker. He had an excellent work ethic that he passed on to his family. Most importantly he knew the Lord and his new residence is in heaven. "Email Address" would like to share the life celebration of John Albert Adams. Click on the "link" to go to share a favorite memory or leave a condolence message for the family.